On a path through a wooded area near Stanley Park's Prospect Point, it's easy to forget Vancouver is in the midst of a heat wave. The tall green trees, mixed with a cool breeze, provide a welcome break from the hot July sun. 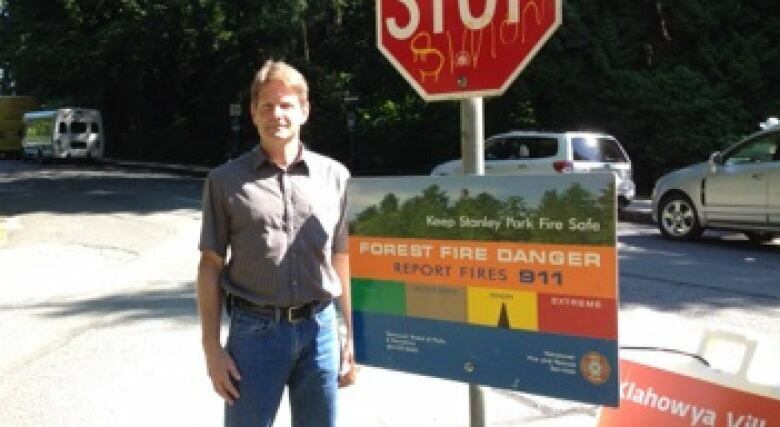 But Brian Quinn, manager of operations for the Vancouver Park Board, warns that though the forest may look lush, it could easily go up in smoke. "If you were to dig down in the soil a bit, you'd get a good indication of how dry the duff layer is," he says. The duff layer is the layer of dead leaves, fallen needles, and other organic matter that gathers on the forest floor. Quinn says if there is a spark, it can smoulder below the surface for a while, with very little indication it's on fire. "At that point, it can explode into something much larger, so whenever we smell smoke, or someone tells us that they smell smoke, we take immediate action," he says. The duff layer has already ignited twice this month, but both times, it was put out before it became a full blown fire. Quinn says that quick response is no coincidence. In summer months, when the risk of fire is high, park rangers increase their patrols of the park, and he says park visitors, and commuter planes overhead, provide extra eyes to catch a fire before it spreads. Vancouver Fire and Rescue Services are first to respond to any fire in the park. In more extreme cases, the Wildfire Management Branch will be called in. So far, the prevention plan has worked. Quinn says in his three decades with the Park Board there has never been a major blaze. "We did, several years ago, have a tree hit by lightning, which did take a while to put out, but luckily because we got on it in time. It wasn't allowed to spread." 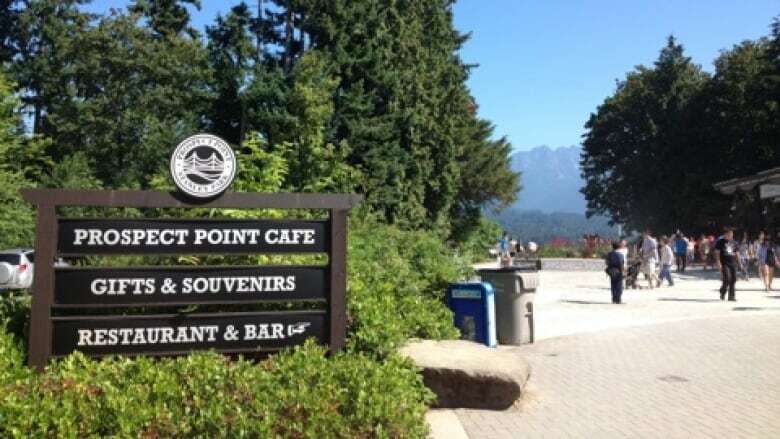 Especially in the summer months, park rangers crack down on campfires and smoking, which are prohibited in any Vancouver city park, including beaches and Stanley Park. Quinn says most people follow the ban on campfires, but officials still struggle to enforce rules around smoking. "We have seen a dramatic decrease in the amount of smoking, but we're not happy with the level of compliance that we're still getting. We still have a bit of work to do on that," says Quinn. "It only takes one cigarette to be cast into the forest, where there's a lot of dry material, to actually ignite a fire," says Quinn. Quinn says rangers can issue fines to anyone caught violating a bylaw. The Park Board also works with tourism groups to educate visitors to the city about park rules. Signs are placed throughout the park starting in the spring, and heading into the early fall, clearly displaying the fire hazard rating. It's at high right now, something Quinn says is unusual this time of year. "Typically we'll experience this kind of rating as we get into August. The last 10 days has been extremely dry and extremely warm," he says. The Vancouver Park Board receives a report from Metro Vancouver twice a week on the risk of fire, and that information is used to determine the fire hazard rating for the park. There is rain on the forecast, and Quinn is hopeful that will bring the dial down from "high" to "moderate." "It doesn't take a lot of rain to reduce the rating. If we could get a moderate amount of rain every week, we could probably stay within the moderate level, which is very acceptable."